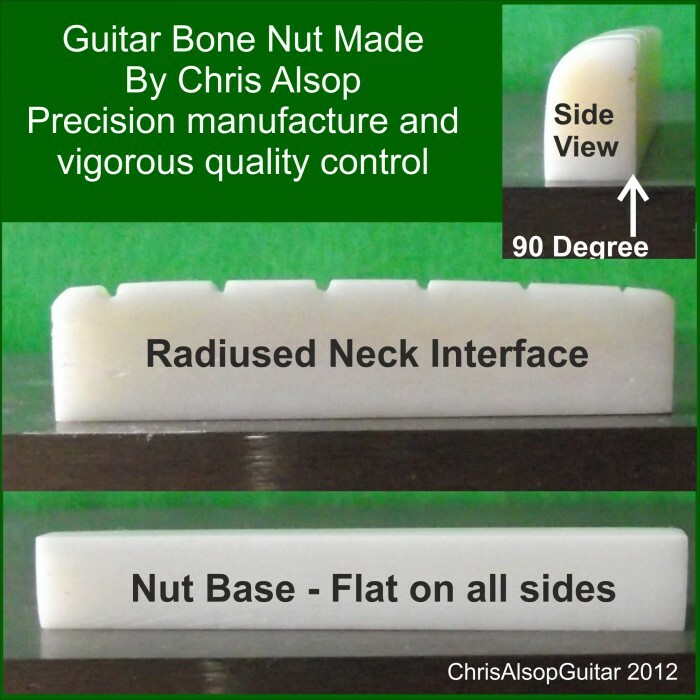 All our guitar nuts are designed and made by Chris Alsop. 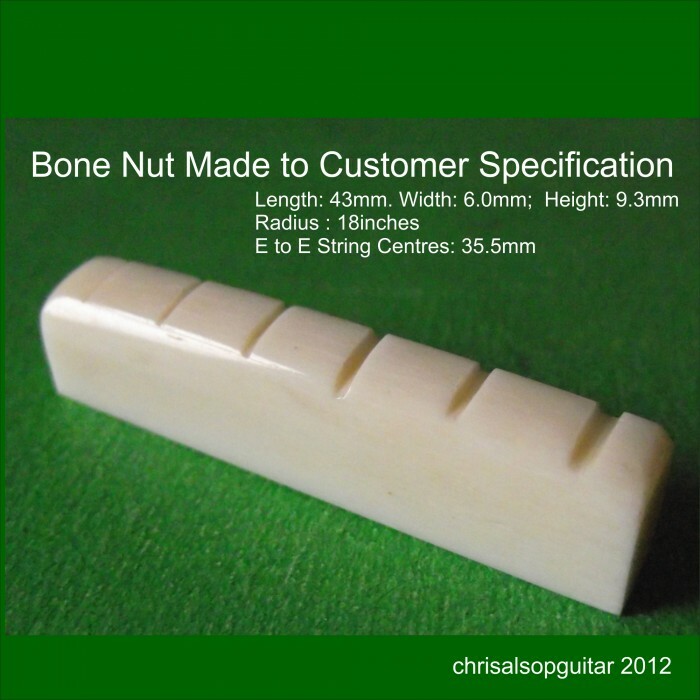 This advert is for a guitar nut where the design is worked out with the customer and a drawn specification agreed to before manufacture.Where its necessary to really explore the design possibilities of a nut then we take on the study and mathematical modelling of the item in full consultation with the customer. An agreed drawing is then used to manufacture the nut. 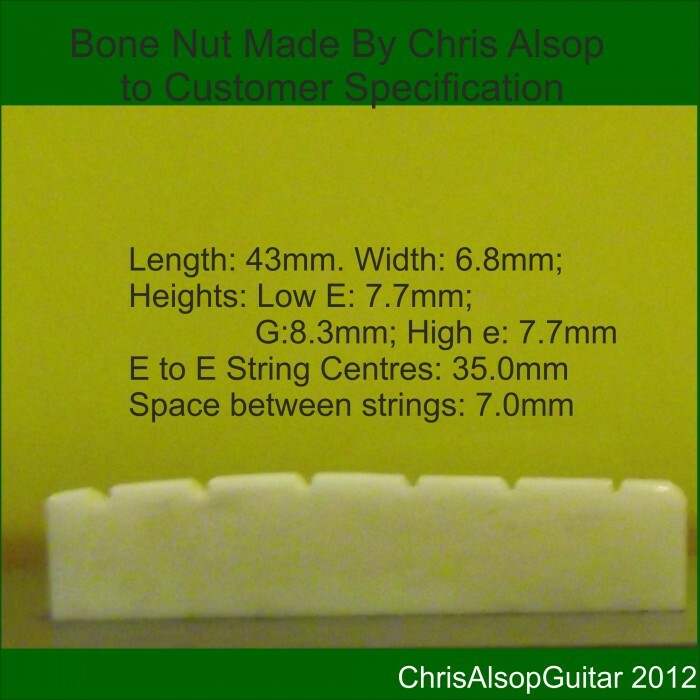 We do a quick turn around usually a few days maximum from an agreed specification. 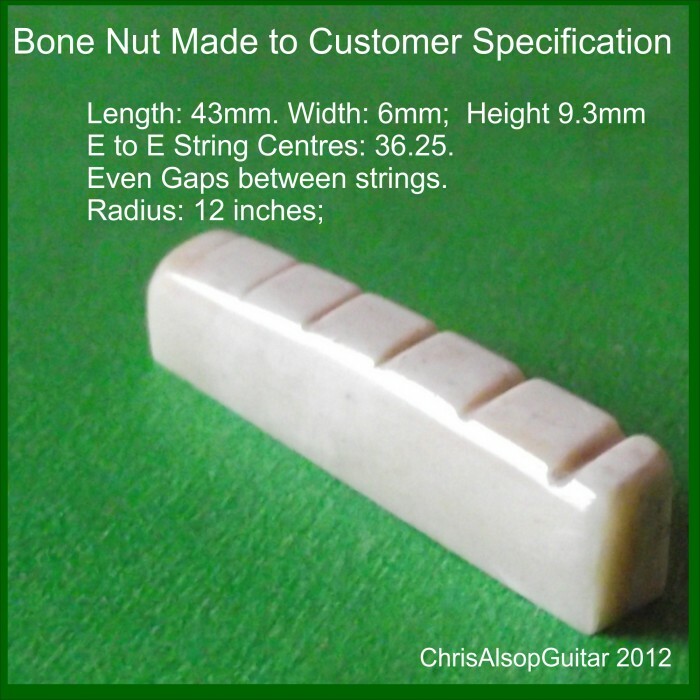 Any shape is possible for us to make we are only limited by the size of the raw material we use. 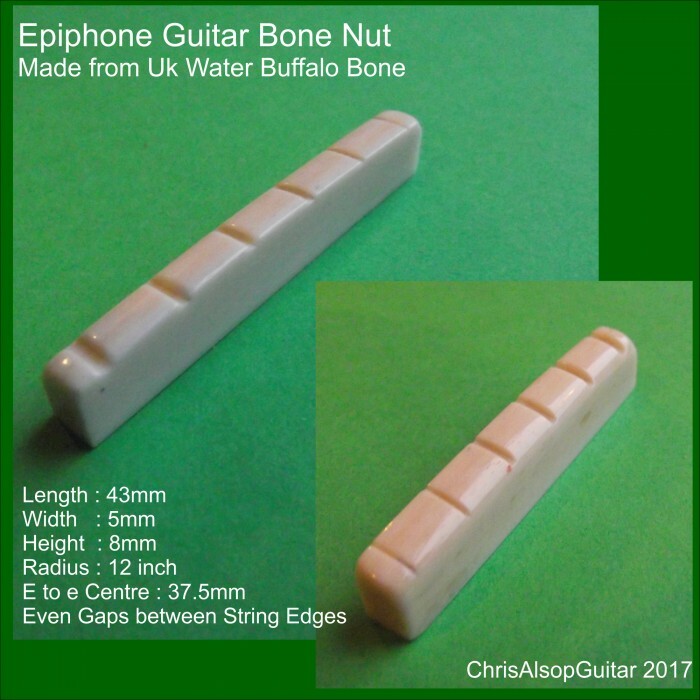 If the height is greater than 10mm, or the width greater then 8mm wide then the our "oversized nut" advert is the appropiate advert.